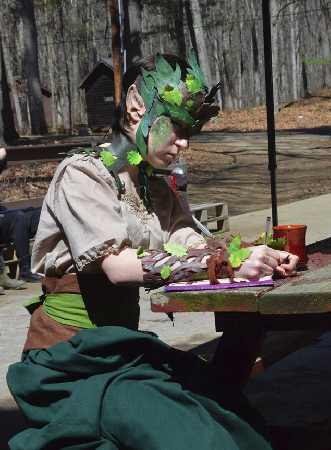 Legends is one of the longest running LARPS in New England. Our first campaign lasted 21 years. Over 50 years of LARPing experience came together to create an open rule system, then we reset in time, and began a whole new campaign. Player agency is at the core of everything we do. Our open skill system allows you to build unique characters who interact with other characters and affect change in the world of Areth. We invite our players to use their creativity in helping shape our world. In the past, players have added monsters, countries, and skills into the game. Now we have given our players even more agency. We are not shackled to the script in legends. Our cast keeps the improvisation in improvisational role playing. Players guide the course of events. Headers do not bind you, you have the FREEDOM to build your own vocation, and tell us what you want. Our skills and systems committee are always ready to adapt systems or create systems which will satisfy your desires. Legends strives for a what you see is what you get atmosphere. Set locations in our game provide people with constant interaction. No more searching for this person or that. You will likely find our Arch Mage in the Mystic Meade hall or the Governor in his office. Our game extends beyond the events. At Legends there is no such thing as out of game. If you know it, your character knows it. We want your role playing experience to be as organic as possible. Join us in Citadel and experience the Legends Difference. Special Offers: We have some new special offers for new players and current players! Check them out! Legends is moving!! We are really excited to announce that we are moving our game to Camp Tolgywood located in beautiful Chesterfield, MA!